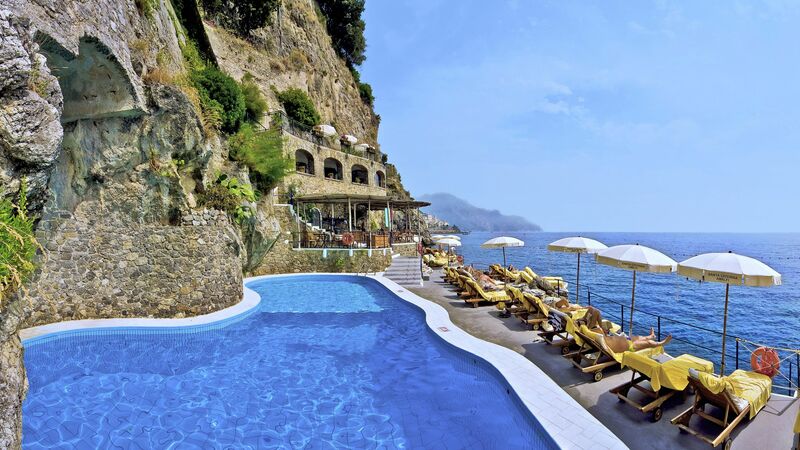 Perched on the rugged cliffside of the spectacular Amalfi coast, Hotel Santa Caterina is a statuesque and grand Italian villa, and the very essence of luxurious, elegant travel. Built in the early 19th Century, the beautiful building gazes down at the historic marina set in the pristine, turquoise blue waters of the Mediterranean Sea. Walking into this hotel you’ll find exquisite fabrics, elegant furniture and old school glamour. And much like the five star surroundings, the hotel prides itself on five star service. Be prepared to be spoiled by the super attentive staff and famously warm Italian hospitality. Both dining options available are divine and the proud owners of multiple prestigious culinary awards. The hotel also boasts an exclusive beach club that you’ll find at the end of a winding, olive tree lined path, or short elevator ride away. Here you can lounge on the sun kissed deck and take in the sights and sounds of this stunning shoreline. Hotel child prices apply to ages 2–12 years.The hotel has 67 rooms.This hotel is not suitable for guests with limited mobility. Escape the midday sun for a light afternoon bite or indulge in one of the hotel’s famous limoncellos, a handcrafted lemon liqueur, at this chic terrace bar overlooking the sea. Perched on an ornamental terrace overlooking the private beach club, this informal eatery is the perfect spot to enjoy freshly grilled fish and mouthwatering pizza, while watching the sunset above the rugged shoreline. A regular feature in several world famous restaurant guides, this is a dining experience not to be missed. Serving traditional Italian fare with a creative, contemporary flair, this is the kind of food you will remember for years to come. The view out over the Mediterranean Sea is just as exquisite as the food so book early to snap up one of the highly exclusive window tables. 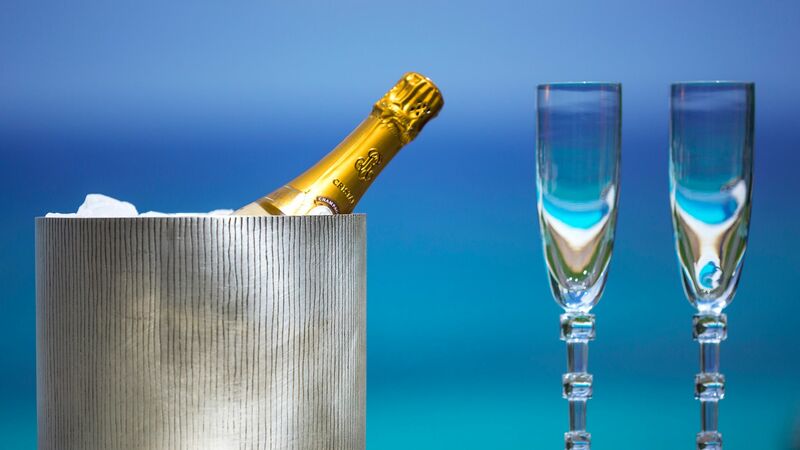 Reserved exclusively for guests of the Santa Caterina, this sophisticated beach club features a heated pool and a sun-soaked deck overlooking the tranquil, blue sea. Complete with comfortable loungers, parasols and a team of competent attendants, you could easily spend hours enjoying the view from here. Second half of April to October. 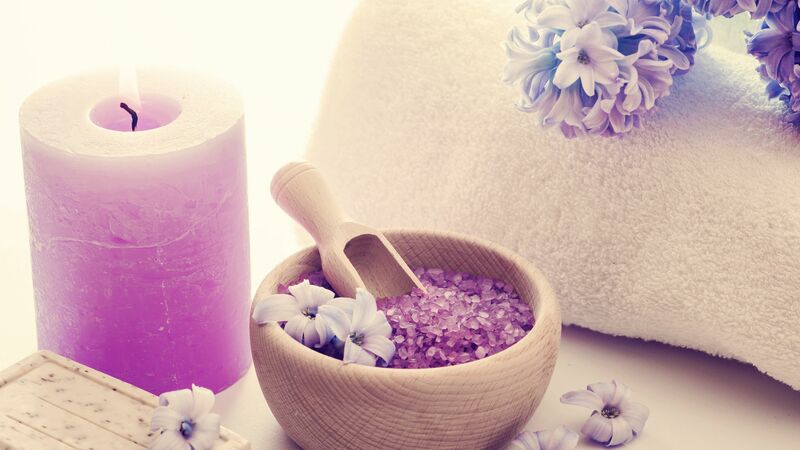 Cleanse the body and rejuvenate your soul at the luxury spa. What makes this little slice of heaven even more special is the fact that all their products are made using local Mediterranean herbs and citrus fruits. So you will be left feeling revitalised and smelling incredible. 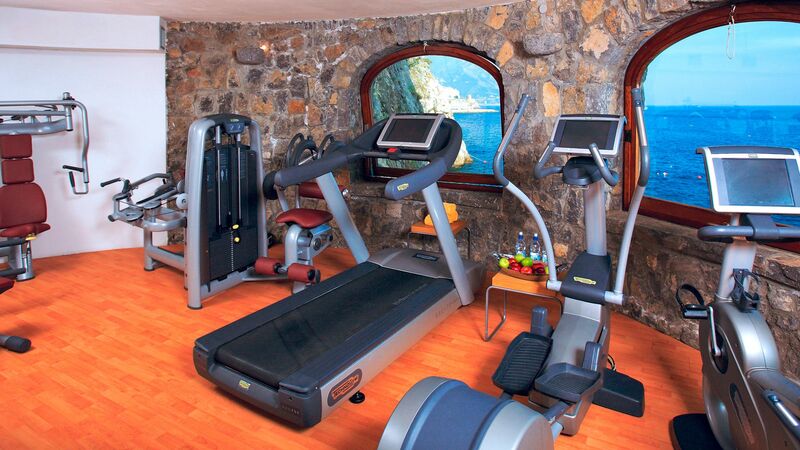 Work out while admiring an incredible view at the state of the art gym. It’s equipped with all the latest machinery and free weights and offers an array of classes led by the team of highly trained professionals. Located in beautiful Amalfi, the Hotel Santa Caterina is ideal for guests wanting to enjoy everything this upmarket town has to offer. It’s home to iconic colourful and terracotta buildings which spill up the hillside and overlook the sparkling Mediterranean below. Wander through its historic streets and admire the architecture before stopping off in one of many fine dining restaurants which cater to the town’s luxury crowd. For the ultimate relaxation, indulge in the traditional Italian art of people watching from a street side café, coffee in hand. Spend long days on the golden sands of the beach below, or head into the olive groves and lemon orchards which surround the town. Hotel Santa Caterina is an hour and 45 minutes’ drive from Naples Airport. Twin Balcony Partial Sea View Rooms are all individually decorated with crisp, white furnishings and colourful ceramics from Vietri. They enjoy side sea views from the balcony facilities include air conditioning, satellite TV, telephone, internet access, minibar, safe, hairdryer and a bathtub. Deluxe Double Front Sea View Rooms are elegantly decorated with antique furniture and have lovely front sea views from the balcony. Executive Junior Suites have stunning views over Amalfi and the sea from their large balcony or terrace. Executive Partial Sea View Rooms offer more space measuring 25m² and a balcony. Junior Suites have a balcony or terrace with views over the sea and Amalfi. Regular Suites have a separate living room and bedroom, with sea views from the balcony or terrace. Special Suites are also available at the hotel and include the Honeymoon Suite, Follia Amalfitana, Chalet Giulietta & Romeo and Il Torrino. These are available on request; please call for more information and to book. Front Sea View Rooms are located in a quieter position with sea views from the balcony. The whole experience was above and beyond anything I could have imagined. The hotel is beautiful and the grounds are gorgeous. We took a walk down to the pool through a lemon grove. The restaurant was excellent but the service was absolutely fabulous!!! Genarro at the front desk was amazing. He went out of his way to help us get from Amalfi back to Rome and made all the arraignments for us. 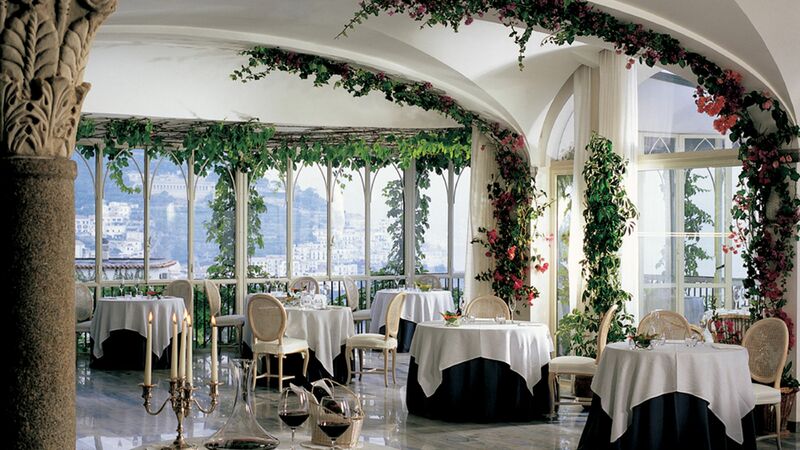 If I am ever fortunate enough to get back to the Amalfi coast, I am definitely staying at this hotel again!! Really glad we found this gem online and regret we couldnt stay for longer. Hotel has an amazing traditional decor reflecting the character of the coast. Restaurant and hotel are quite expensive but service and food quality is very high and wine choice is just out of this world. There is a live music during dinner and somelier can help with wine choice. 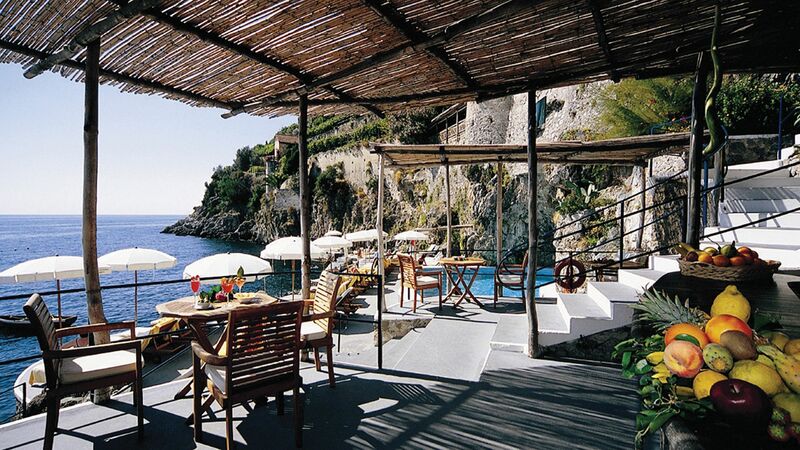 You can enjoy food or drinks on the terrace enjoying spectacular views of Amalfi coast. Hotel also has gym overlooking the sea and offers yoga sessions few times a week. Amalfi town is only 20 min walk away or hotel offers a shuttle service. Hotel staff are very helpful and service is great starting from the arrival to the resturant etc. Hotel also has safe parking facilities which is very rare on the coast. Highly recommended. This is luxury. The hotel is expensive, but the views from the waterside rooms are breathtaking. The elevator ride down to the heated pool on the water is worth the price of admission. The staff were excellent. They set up a wonderful excursion to Capri which was great, and they were very helpful with dinner reservations. When you told proprietors in town where you were staying, they rolled out the red carpet. We were there for three days, and we could not have been happier. The only issue we had was getting into town. The hotel sits about a mile up the hill from town. They have a shuttle which stops at 6:30PM. We walked it a few times, but I would argue in the dark it is dangerous to do so. The three minute cab ride is 15 euro. My friend and I went on a day trip from Agerola, Furore to Amalfi while on holiday. It was a Sunday and on google the last bus back was at 8pm unfortunately the bus times had just been changed and had not yet been updated online, so the last bus was actually at 7pm which we missed. Our apartment was a 3 hour walk away and a taxi was over ?? ?150 which we did not have with us. So we decided we?? ?d walk part way back to see if we could make the taxi any cheaper further on, it was at this point dark and we had gotten lost several times. We stopped at Hotel Santa Caterina, obviously not that much further than before after walking in circles a couple of times - the steps we went up had a few dead ends, hoping that they would have a taxi number that might be a little cheaper. Both our phones had also now almost run out of battery so we couldn?? ?t have followed a map any further. The staff that greeted us were some of the nicest people I?? ?ve met; they went above and beyond to help two strangers out of nothing other than kindness. They called all the services they knew to try and find us something cheaper than the taxi which they thought was too expensive. They spoke to our apartment owner as she didn?? ?t speak much English to see if she could find someone to help us, unfortunately she was stuck in Naples though so she could not. They gave us bottles of water and let us sit down while they sorted things out and were able to find someone who took us back for a much cheaper rate. They did not have to help us, some in amalfi were not so nice, but they did and thanks to them we got back safely to our apartment. So I can not vouch for the food or the rooms although I?? ?m sure the standard is excellent but I can vouch for the concierge staff who work there and am sure their paying guests are just as satisfied with their service as the two distressed people who wandered into their hotel out of pure luck. I wanted to write this review despite not actually staying there as a thank you to them and in doing so I hope that it repays them a little, as me and my friend were truly touched by their help. If you?? ?re considering staying here, please do so!